TravelReps represents various companies from the travel industry on the Polish & Eastern European market, saving them money and time. …to improve the clients’ brand recognition in Poland, increase market share and revenue through sales, marketing, PR and training in the field of tourism with a specified budget and towards selected target groups. 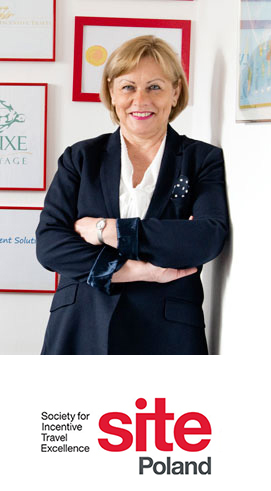 The owner and founder of TravelReps is Barbara Dziedzic – an expert in travel. During her more than 30 years of career she was always involved in tourism. She worked for LOT Polish Airlines in New York as PR & Advertising Manager, was responsible for press, radio and TV advertising, from concept through supervision of production (both in English and Polish media) by LOT’s advertising agency to monitoring results of advertising campaigns. She was in charge of campaign planning and budget, media purchases, and press releases. She organized PR events, including study tours to Poland for journalists. She participated in travel market shows in the USA to promote Poland as a tourist destination and LOT as the best way to get there, understanding the overseas market needs. She is experienced in managing people, gaining and keeping clients, negotiating contracts, creating new products, events, ideas, short and long-term policy of the company. She successfully managed ‘Travelbank’ and ‘Club and Travel’ companies for over 16 years. She was responsible for the company budget and financial balance, in charge of setting goals, problem solving, motivation and supervision of employees. She has knowledge of the airline business, including fares and the commission system, and a great familiarity with corporate travel needs and individual customer service. 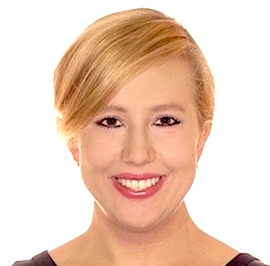 Barbara Dziedzic has experience in all aspects of tourism and marketing on domestic and international scale, in the creation of promotional brochures and information booklets, advertising and Public Relations campaigns. Among her independent projects was the creation of portals dedicated to women’s travel: www.lektyka.pl, incentive travel: www.micefactory.pl, as well as savings and optimising of business travel costs: www.podrozefirm.pl. She is the author of a book entitled “Business travel – optimizing the cost”. She graduated from the Warsaw School of Economics in Poland with a MSc in Economics, specialization in Economy of Tourism, and she completed postgraduate studies in Tourism and postgraduate studies in Diplomacy and International Relations at Collegium Civitas, Warsaw, Poland. She passed numerous courses in advertising, PR, Professional Customer Service, as well as several business travel courses and seminars. She visited and explored more than 90 countries on 5 continents, has knowledge of the travel product and travellers’ needs and expectations. Our Clients who have trusted us since 2013.